The world we live is constantly changing – particularly the technology we use, and how we use it. Another thing that affects all of us, and yet not that many changes are made generally, is the way we work. We are constantly getting distracted by our phones, social media, emails and the web in general, while our workloads seem to be steadily increasing. The data we need to get our work done is lost in a sea of other data – which leads to more time lost. As technology evolves, if you want your company or business to be successful, then you need to adapt to it, and make the best use of technology to make your work life easier, and to shorten the time it takes you to finish, and simplify it. We live in a digital world – and only a few have fully embraced it, or the future. 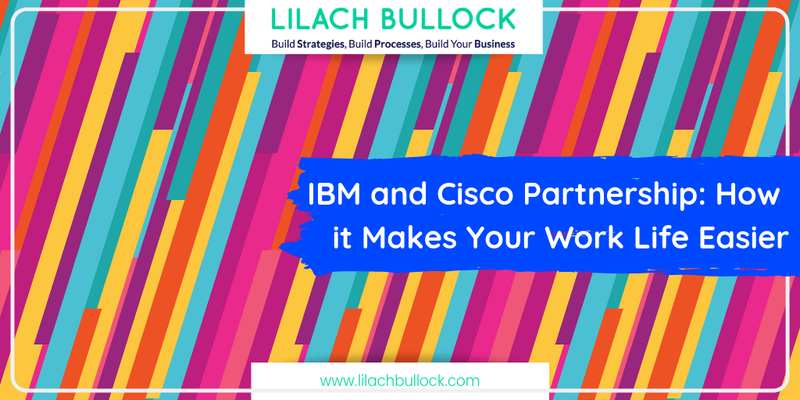 Now, IBM and Cisco have partnered up to create the tools and applications that will help people work more efficiently, by leveraging IBM Watson’s analytics prowess and Cisco’s solutions for collaborations and teamwork, such as messaging and meeting. IBM Watson is an amazing analytics tool that analyses unstructured data, in order to make your life easier. It uses natural language processing and machine learning to gather and reveal data, such as finding and extracting any information in your files and documents, and finding patterns and relationships within the data. As much as 80% of all data is unstructured, which means news articles, social media posts and other data are all full of insights that we need, but we have no efficient way of accessing. With Watson, you can simply load all the data you want it to process, whether it’s your work documents or web data, add a few question/answers pairs in order to show Watson what you’re looking for, and then it’s ready and you can start asking the questions you need. Working in the twenty-first century is an incredibly fast-paced environment. And the worst part – there are distractions everywhere you look. As focused as you may be, it’s almost impossible not to lose sight sometimes when you get a notification on your phone, or you check your email, for example. And to be honest, it’s very stressful when you realize you’ve been distracted (again!) and you have to rush to finish what you have to do for the day – which means the work is not as good as it could be and you’re stressed, which doesn’t make for a great combination. 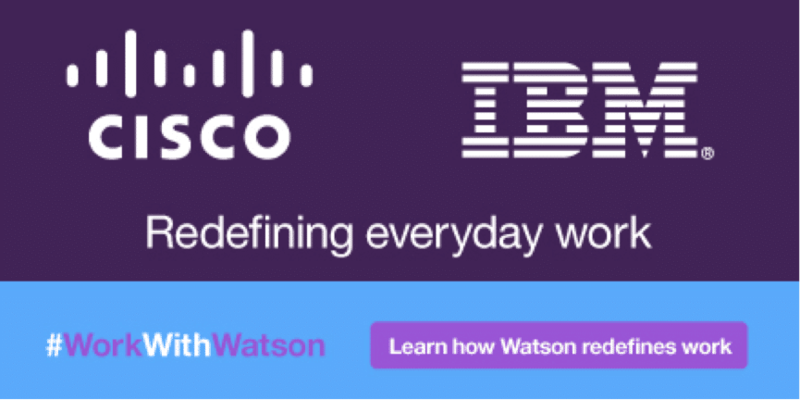 Now, IBM and Cisco have partnered up to leverage the power of Watson and Cisco Spark to create even more cloud-based tools and applications that will help both companies as a whole, and the individuals working for them get better results, faster and more efficiently, by helping with distractions and providing the tools they need before they even know they need them. The two companies will basically unite both their biggest powers, in order to create something that will make a real impact on people in the workplace and the companies they work for. The aim of this collaboration is to find the solutions that will help people do more, be more productive, but in less time than it would’ve taken before. The tools and apps will look into each individual’s work patterns and history, their current work assignments, and their role in the company, in order to provide the information and insights he or she needs to get all of their tasks done more efficiently. Watson’s cognitive features are truly a thing of the future, and paired with the advanced analytics, we will probably be seeing amazing results from the companies working with Watson. It’s these types of tools that aside from boosting productivity and efficiency also inspire innovation. The easier it is to deal with the more mundane tasks, the more time there is to be creative and innovative. It will be very interesting to see where this collaboration will lead, and how the typical workplace will change in the coming years. Will more companies invest in and adopt new technologies? What impact will these changes have?